Hang Out with FaveCrafts and Make a Card! Are you on Google+? It’s still relatively new and relatively small and we know that many people are reluctant to use it, but it does have some cool features, like the option to “hang out” with all your Google+ friends! And that’s exactly what we want to do! A hang out is basically just a video conference between yourself and any Google+ friends that want join you! If you’ve never joined in on one, there’s no better time than now! 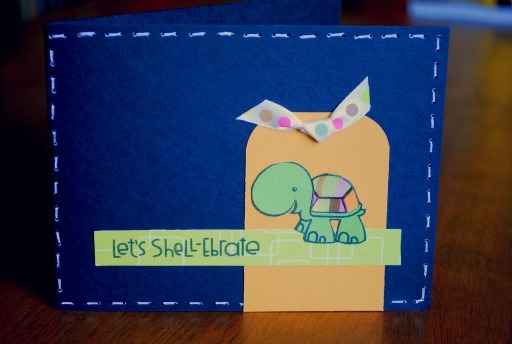 On June 29th at 1pm CST FaveCrafts will be hanging out and making a fun card with stamps from Paper Smooches. Add us to your circle on Google+ and we’ll add you back! At 1pm CST on June 29th, we’ll set up a hang out for all of you in our circles so watch your newsfeed! Once you see the logo pop-up that says the hang out has started, join in! As much as we would love to chat with all of you, there is a 10 person limit so we’ll have to run it on a first come first served basis. Full instructions will be posted on FaveCrafts.com after the Google+ hang out! Add yourself to our link list! We can’t wait to see all your friendly faces! Do you love taking pictures? Do you enjoy showing off your finished craft projects to your friends and family? 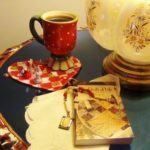 You should keep reading! With the myriad of websites out there that allow you to share your information with the world, it can sometimes be entirely intimidating to dive into yet another one. 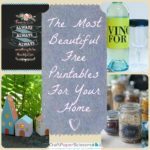 But there is a great site out there for crafters and bloggers who love taking and sharing photos! This article will walk you through how to use Flickr and show you exactly how not intimidating it is to set up and account and start posting your pictures! Never heard of it? That’s okay! Flickr is an online photo album that allows you to share and organize your photos in one easy place. 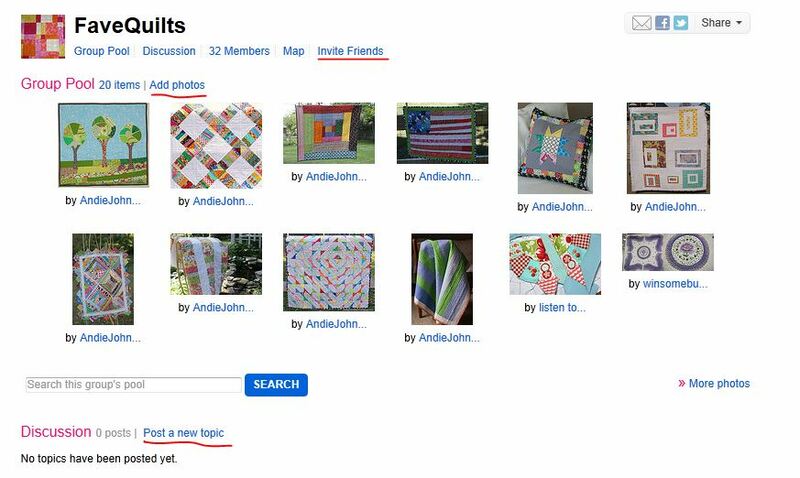 You can search for photos and even join groups that fit your interests where you can see and share photos on a specified topic like quilting, crochet, or just general crafts! Flickr is a great way to share and organize your photos in one place where you can easily share them with all your family and friends. It allows you to share photos you upload to multiple social media sites like Facebook, Twitter, or a blog at once. Friends and family can also find you on Flickr and see all your new craft projects and family photos instantly! How to Start a Flickr Account? As you can see it gives you several easy options to sign in. 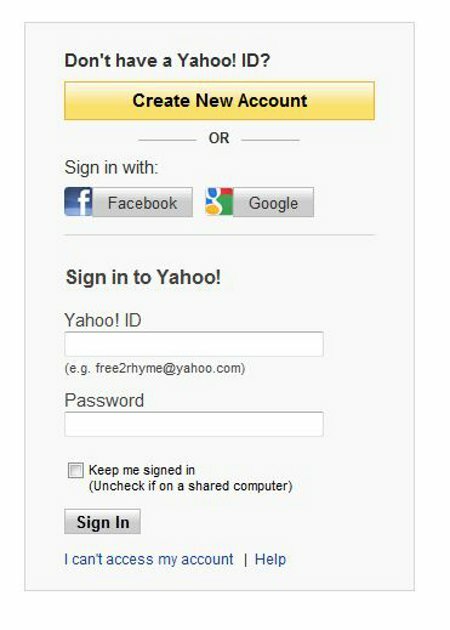 You will need to create an account with Yahoo! if you do not have or would not like to sign in using Facebook or Google. Once you’ve signed into Flickr, just follow the easy on-screen prompts to upload your profile image, fill in the information you want to share with everyone, and choose a username. Once you’ve filled out all this information you should get a confirmation email and you’re ready to start uploading photos! Flickr walks you through uploading photos with step-by-step on screen prompts, making it really easy for you to add your photos. Click “Choose photos and videos” to open your photo folder and simply select the photo you would like to share. 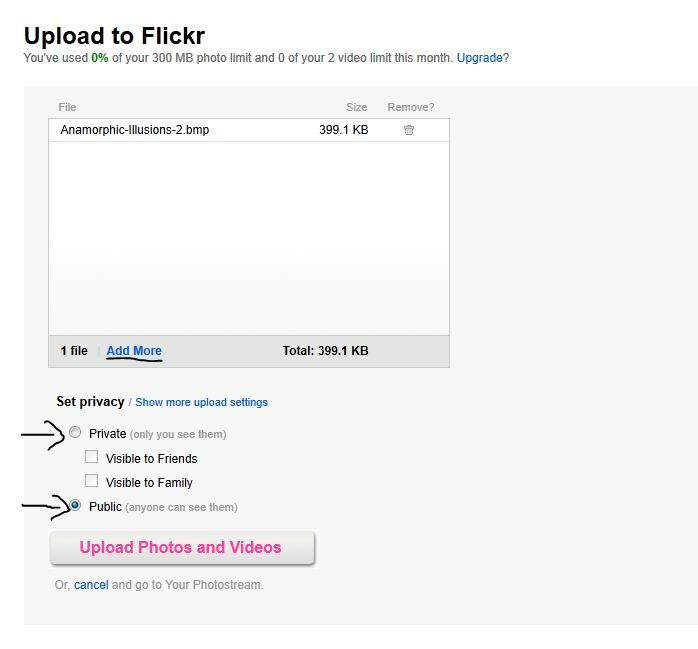 You can upload more than one photo at a time and you have the option of making your photos public to everyone on Flickr or private so that only the people you choose can see them. If you have more photos to upload simply click “add more” and chose the next photos you would like to share. When you are done, make sure you select the privacy level you would like and click “upload photos and videos”. 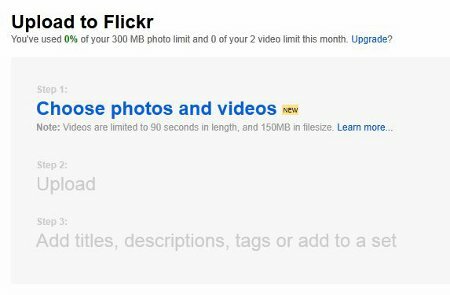 Once your photos are done uploading Flickr will prompt you to add a description. Adding descriptions and tags to your photos helps other users find them so adding good descriptions and tags is key here. Flickr will import the title of your picture as the image title on your computer. 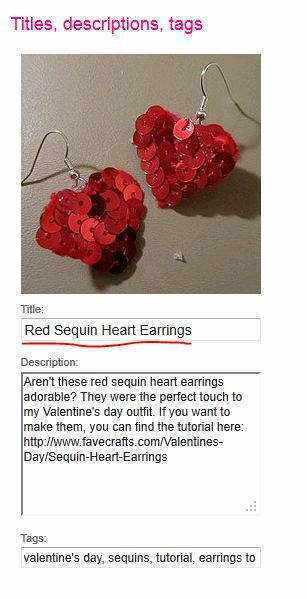 For example, these heart earrings were called Earrings-7.jpg on my computer and that was imported into the title box before I changed it to something that’s easier to find. In this screen you will also have the option to add this photo to a set. Sets are a great way to organize your photos by categories. 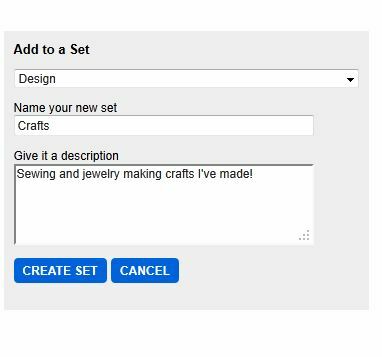 To create a set and add your photo to it right away click the “create new set” link and the box will expand so that you can name your set and give is a description. Same as with the photo descriptions, if you want other Flickr users to find your sets you will have to really describe what kind of photos you will be including in this set. Your sets will appear at the right side of your photostream and you can always move photos around to different sets, have one photo in multiple sets, or delete photos from a set by clicking the “edit” button that is right underneath the photo set. That’s it! Once you’ve completed all the steps your photo will be live on Flickr so that you can easily share it with all your friends and family! Groups on Flickr are a great way to share your photos with people who have the same interests as you. 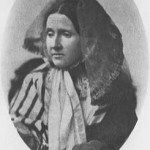 There are many groups on Flickr already and it should be easy to find several on any given topic that you enjoy, however you can also create your own groups. Just like the photos, groups can be either public or private so you can easily create a private group for all your family members to contribute photos of children and grandchildren. To find already existing groups to join, click on the “groups” tab on the top bar by the “upload” tab. This will take you to a page where you can search for groups. Enter the type of group you are looking for in the search bar and a long list will come up. You can explore these groups and read more about them before deciding to join. When you decide on a group and click the “join” button you can now add photos to the photo pool, start and join discussions, find other users who have the same interests as you, and even invite friends! And that’s how you get started with Flickr! Easy right? You can join or build a community around your favorite topics and show off all of your photography skills and craft projects! We’ve started our own Flickr groups for a few of the sites so be sure to check those out and join us in adding photos to the pool! …there you can tweet via your computer or most digital devices like cell phones or i-touches. And now there are TweetChats and more happening at Twitter, which changes it up about as much as Facebook does. You post links in your tweets and you can also post photos by using various websites and digital device apps! It’s fun, but you need to spend some time learning and getting a feel of how Twitter works. I’ve have many requests to be more involved on Twitter, but need your help to remind me to stay active! Care to help me out? Watch this video to learn more about tweeting and helping me out! Come Tweet With Us! All you have to do is click to the follow link! Clearly, the constantly growing technological advances of society shape our entire world. Isn’t it fun to think about how much technology has changed the world of crafting as well? The wealth of resources out there now are pretty amazing; you can find answers to just about any kind of crafting question imaginable. 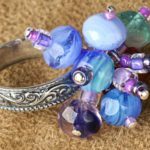 Thanks to social networks, blogs, and forums, crafters can share tips, project ideas, and patterns with each other in literal seconds. 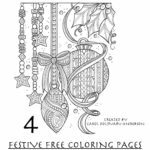 What online crafting networks are you involved in? 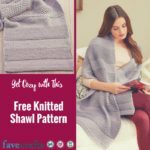 For those of you who knit and/or crochet, I’m sure you’ve check out Ravelry before, but I have to give it a shout out as a great social networking site for a specific craft niche. Another one of my favorite sites is Craftster.org because of its easy to navigate forums, helpful information, and cool shop with some really funny crafty t-shirts like this “Sew in Love” shirt or the “Handmade is Better” tee. Another big advancement has been the creation of Etsy (we <3 Etsy, if you haven’t noticed!) otherwise known as the Ebay of the crafting world. 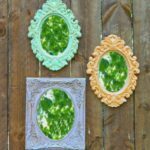 It’s true, Etsy has offered both professional and just-for-fun crafters the opportunity to sell their products to the masses with an easy and afforable platform. While craft fairs are still awesome (and constantly getting bigger and better in most urban settings! ), the average crafter doesn’t have to wait anymore to share their goods with the world. There’s other sites, like Etsy, popping up constantly. 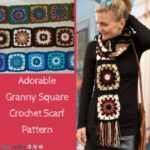 One of my favorites for handmade clothes and accessories is Smashing Darling. Check it out — it’s great for finding unique gifts! And lastly, I’ve got to give it up for new gadgets — who doesn’t love gadgets?! There’s a few that have been on just about everyone’s wish list this season — too many for me to even get into. But I have a couple favorites for this year, to help with all my scrapbooking needs. The Slice, created by Making Memories, is being dubbed the “iPod of the Crafting world” by many. It’s portable and you can do it all with just a touch of a button — select a design to cut, select the size, and let it do its thing! My other new fave is the Crop-a-dile II, and not just because it has such a cute name. Made by We R Memory Keepers, the Crop-a-dile is a not-so-average hole punch that you can adjust for punching holes of all sizes and easily place metal grommets, eyelets, snaps, and other embellishments just about anywhere on your scrapbooking project. It makes everything look so easy — what will they think of next?